Michelle Forsyth, Black & White Stack, 2018, Inkjet print on Hahnemüehle paper, paper size: 30 x 30 inches, edition 5/5, image size: 24 x 24". An essay by Jenn Law accompanies the exhibition. Please click here to download the brochure. Image: Michelle Forsyth, Black & White Stack, 2018, Inkjet print on Hahnemüehle paper, paper size: 30 x 30 inches, edition 5/5, image size: 24 x 24″. 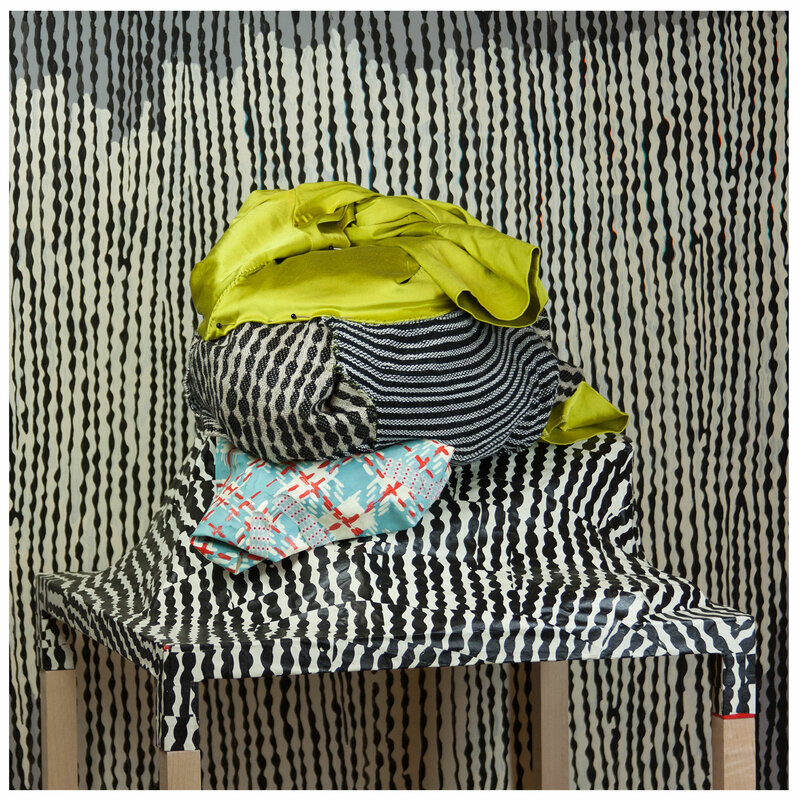 1A chartreuse satin sits nestled amongst a voluptuous cacophony of black-and-white woven patterns. I found the acid green a-line dress on a sale rack containing mostly dull browns and greys. The arrangement, I assume, was designed to catch my eye.